(TORONTO, ON – September 10, 2015) The popular and premium Lexus CT 200h combines sophisticated curb appeal, a refined interior and the advanced power and efficiency of the Lexus Hybrid Drive. 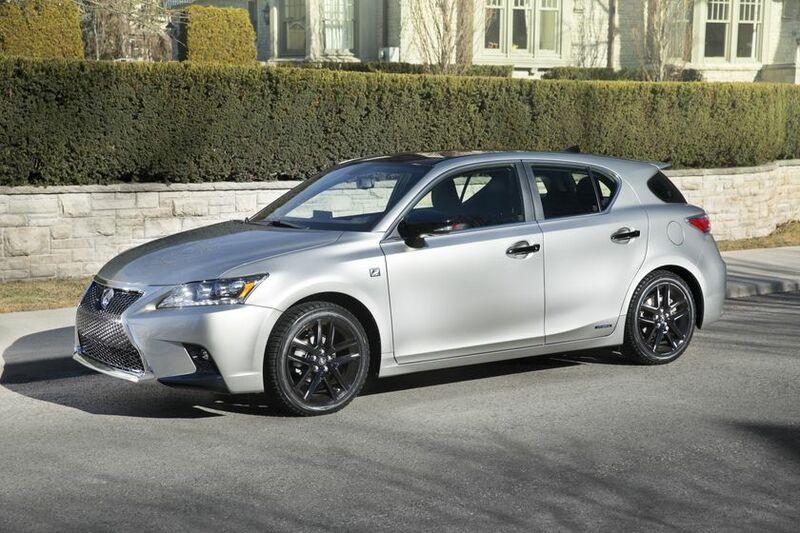 The 2016 Lexus CT 200h presents a low profile and wide, sporty stance, accented by the signature Lexus Spindle Grille, 10-spoke 16” aluminum alloy wheels, and a rear spoiler. Inside, the driver-focused cabin seats five passengers with a refined interior that’s not only pleasing to the eye but welcoming to the touch. Dynamic performance is assured – thanks to a rigid body structure, optimized suspension systems, and carefully-tuned aerodynamics. The result is an agile, engaging driving experience. Every CT 200h is powered by a Lexus Hybrid Drive – specifically tailored to the CT 200h to deliver maximum performance and efficiency. This system is built around a 1.8L Atkinson Cycle four-cylinder engine, a high-torque electric motor, a high-power storage battery and sophisticated power management system. The CT 200h may be operated in four drive modes: Normal, Sport, ECO and EV. 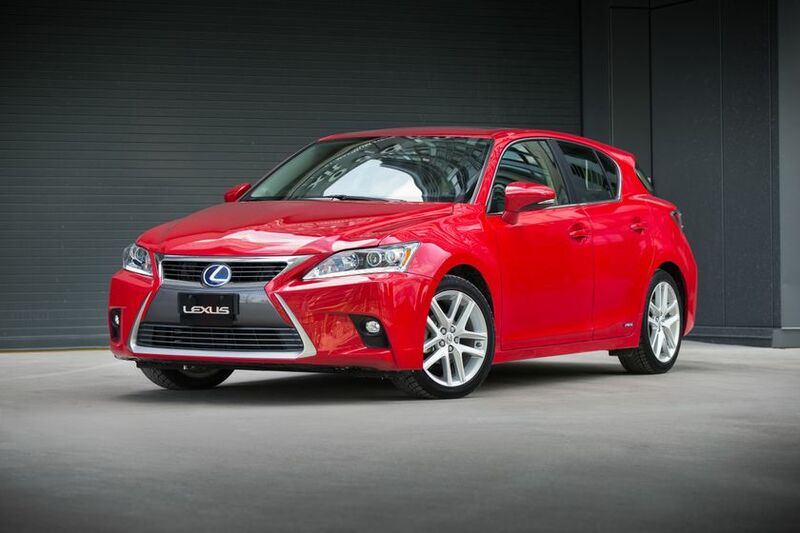 Every 2016 Lexus CT 200h is generously appointed with comfort, convenience and luxury features. Key features include a premium audio system with integrated Sirius XM Satellite Radio, USB audio input, bamboo charcoal speakers and steering wheel-mounted audio controls, Bluetooth connectivity with steering wheel-mounted controls, dual-zone automatic climate control, direct tire pressure monitoring system, extendable sun visors power-adjustable and heated front seats, power door locks with keyless entry, power windows with auto up/down function on all windows, a leather-wrapped steering wheel on a tilting/telescoping column, cruise control, the Smart Key System with Push Button Start, a full complement of instrumentation including a tachometer and ECO indicator, power adjustable heated exterior mirrors with integrated signal lamps and puddle lamps, fog lamps, and LED daytime running lamps. Safety is always standard on Lexus, and every 2016 CT 200h features Vehicle Stability Control, Traction Control (with off switch for more direct response on closed courses), Antilock Braking System with Electronic Brake Force Distribution and Brake Assist, eight airbags, an onboard first-aid kit, anti-theft system, plus more. The F SPORT Series 1 package builds on the Touring Package, adding front and rear performance dampers, aluminum sport pedals with rubber inserts, metal-look interior trim, 10-speaker Lexus Display Audio System with display audio controller, a back-up camera, rain sensing wipers, auto-dimming rear view mirror with integrated compass plus several F SPORT-unique features, including: a three-spoke steering wheel, wheels and center wheel ornamentation, grille, rear spoiler and scuff plates. The 2016 Lexus CT200h is now on sale at Lexus Dealers across Canada. For more information on features and specifications, visit www.lexus.ca/ct. Lexus Canada is the exclusive Canadian distributor of Lexus luxury cars and sport utility vehicles through a sales and service network of 38 dealers across Canada. There are 11 Lexus nameplates on the road today, allowing guests many choices in a range of luxury vehicle segments. Six of these 11 offer hybrid models, giving Lexus Canada’s largest luxury hybrid lineup. In the 2014 J.D. Power and Associates Vehicle Dependability StudySM (VDS), Lexus ranked highest in vehicle dependability among all nameplates for the third consecutive year. Additionally, the Lexus RX and RXh are built at Toyota Motor Manufacturing Canada’s (TMMC) Cambridge South plant, the recipient of J.D. Power’s 2014 Platinum Plant Quality Award, Worldwide. For more information about Lexus products, and Lexus’ pursuit of perfection, visit: www.lexus.ca.